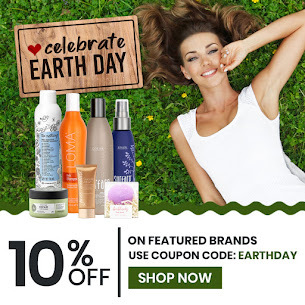 Beauty Care Choices: Find you very best brush! Investing in a good brush or two can be worth the money, especially if you like to change up your style often. We've discussed before the types of brushes (round barrel, paddle, teasing, etc.) and the shape of the brush(es) you need depends on your style. The bristles on the brush are just as important. True boar bristle brushes are made from 100% natural (humanely cultivated) wild boar hair. They should be tightly packed together and feel stiff, but with some flexibility. These bristles distribute oils evenly throughout strands and are great for achieving a smooth, shiny blowout. If you have thick course hair that requires tug to achieve fullness, boar bristle brushes are worth the investment. They make styling easier and promote shine and smoothness—benefits almost everyone wants. 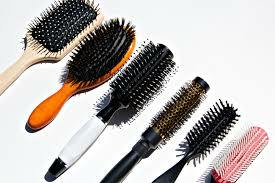 If you have fine hair and own one of these brushes, your investment isn’t lost; boar bristles can add volume to fine and normal hair types—as long as your brush has a nice natural give. Nylon bristles are less expensive than boar brushes, but still effective. The bristles are usually spaced farther apart than boar and achieve a medium to strong grip on all hair types, especially those with medium density or finer strands. The better the grip, the smoother and straighter your style will be. If brushes tend to get stuck in your hair mid-twirl or you suffer from serious static issues try a brush that combines nylon and boar bristles. Plastic and synthetic bristles are your general, all-purpose brushes. The bristles are incredibly strong, made for working through larger areas of medium to thick hair. These are a “first step” kind of brush, best for detangling and preliminary blow-drying. When you’ve removed most of the excess water, switch to a round boar or nylon brush for styling, smoothing, and adding shine. 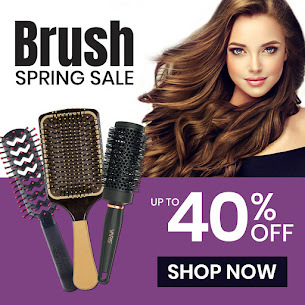 Shop for your perfect brush(es) - click here! Brushes in every style and type from Olivia Garden, Spornette, Cricket, BioIonic, Wet Brush, Denman, iTech, SalonTech & more! I prefer a paddle shape for brushes. I never did like the Boar Bristle brushes. I use and prefer a round Boar bristle brush. I have fine hair and it does give volume and body to my hair.